Writing is also an art. Our hectic daily lifestyle often makes us forget this. 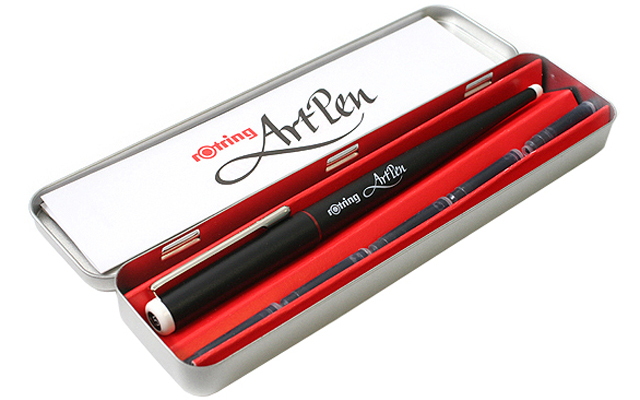 The rOtring ArtPen breathes new life into this art form. Its calligraphy nibs, crafted from the finest stainless steel, turn every piece of writing into a small work of art. This pen is a must for people who also want to put a personal stamp on their written work.